www.michaelsheateaching.com — Michael J. Shea is one of the preeminent educators and authors in the fields of somatic psychology, myofascial release and craniosacral therapy. He presents seminars throughout the U.S., Canada and Europe. He received his master’s degree in Buddhist Psychology at Naropa University, and a doctorate in Somatic Psychology at The Union Institute. Dr. Shea was certified in 1986 as one of the first Full Instructors of CranioSacral Therapy by the Upledger Institute and was an advanced Rolfer for 20 years. He is currently adjunct faculty and teaches human embryology in the pre and perinatal psychology doctoral programs at the Santa Barbara Graduate Institute in California. As a formal student of His Holiness the Dalai Lama, his teaching style is grounded in his spiritual practice of developing compassion with the use of manual therapy. For many years he has also apprenticed with a medicine man on the Navajo reservation in Arizona. From these traditions, he brings a unique cross-cultural perspective to teaching health and healing. Because of the influence of the Dalai Lama, his clinical focus is on treating infants and children with neurological problems and developmental delays. This also includes teaching clinical skills for adults that carry pre and perinatal trauma. Dr. Shea is the author of a number of books, including Somatic Psychology and Biodynamic Craniosacral Therapy – Volume I and Volume 2. 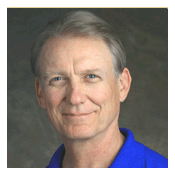 He has been a Florida Licensed Massage Therapist since 1976. He is a founding member of the International Affiliation of Biodynamic Trainings and the Massage Therapy Body of Knowledge task force (MTBOK). He makes his home in South Florida with his wife, Cathy.